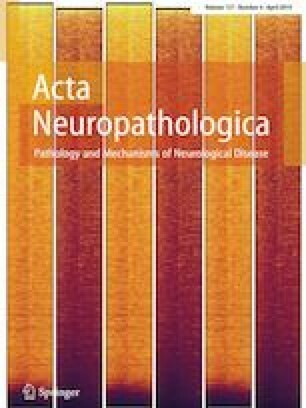 The hexanucleotide repeat expansion GGGGCC (G4C2)n in the C9orf72 gene is the most common genetic abnormality associated with amyotrophic lateral sclerosis (ALS) and frontotemporal dementia (FTD). Recent findings suggest that dysfunction of nuclear-cytoplasmic trafficking could affect the transport of RNA binding proteins in C9orf72 ALS/FTD. Here, we provide evidence that the RNA editing enzyme adenosine deaminase acting on RNA 2 (ADAR2) is mislocalized in C9orf72 repeat expansion mediated ALS/FTD. ADAR2 is responsible for adenosine (A) to inosine (I) editing of double-stranded RNA, and its function has been shown to be essential for survival. Here we show the mislocalization of ADAR2 in human induced pluripotent stem cell-derived motor neurons (hiPSC-MNs) from C9orf72 patients, in mice expressing (G4C2)149, and in C9orf72 ALS/FTD patient postmortem tissue. As a consequence of this mislocalization we observe alterations in RNA editing in our model systems and across multiple brain regions. Analysis of editing at 408,580 known RNA editing sites indicates that there are vast RNA A to I editing aberrations in C9orf72-mediated ALS/FTD. These RNA editing aberrations are found in many cellular pathways, such as the ALS pathway and the crucial EIF2 signaling pathway. Our findings suggest that the mislocalization of ADAR2 in C9orf72 mediated ALS/FTD is responsible for the alteration of RNA processing events that may impact vast cellular functions, including the integrated stress response (ISR) and protein translation. The online version of this article ( https://doi.org/10.1007/s00401-019-01999-w) contains supplementary material, which is available to authorized users. We would like to thank the Sattler Laboratory for suggestions and comments towards the manuscript. We would also like to thank all ALS patients and families that have contributed to this research via postmortem brain tissue donations. Specifically, we would like to thank Doug Clough for assistance with data analysis and insightful discussions. We further thank the Target ALS Human Postmortem Tissue Core, New York Genome Center for Genomics of Neurodegenerative Disease, Amyotrophic Lateral Sclerosis Association and TOW Foundation for providing access to their postmortem patient tissue samples collection. We thank both the Target ALS Consortium and the New York Genome Center for access to their RNA sequencing database. In particular, we would like to thank Drs. Lyle Ostrow, Hemali Phatnani and Robert Bowser. We would also like to thank Drs. Sylvia Perez and Elliott Mufson for generously providing us with AD patient postmortem tissue samples. Further thanks go to Dr. Stella Dracheva for helpful discussions throughout this project. This work was support by the National Institute of Neurological Disorders and Stroke, NIH RO1NS085207 (RS); the Muscular Dystrophy Association (RS); the ALS Association (RS); the Robert Packard Center for ALS Research (RS); and the Barrow Neurological Foundation (RS). Part of this work was also made possible by NIH Grant R01NS097850 (JKI), US Department of Defense Grant W81XWH-15-1-0187 (JI), and grants from the Donald E. and Delia B. Baxter Foundation (JKI), the Alzheimer’s Drug Discovery Foundation (JKI) and the Association for Frontotemporal Degeneration (JKI), the Harrington Discovery Institute (JKI), the Tau Consortium (JKI), the Pape Adams Foundation (JKI), the Frick Foundation for ALS Research (JKI), the Muscular Dystrophy Association (JKI), the New York Stem Cell Foundation (JKI), the USC Keck School of Medicine Regenerative Medicine Initiative (JKI), the USC Broad Innovation Award (JKI), and the Southern California Clinical and Translational Science Institute to JKI. JKI is a New York Stem Cell Foundation-Robertson Investigator and a Richard N. Merkin Scholar. We would additionally like to thank the National Institutes of Health/National Institute of Neurological Disorders and Stroke [R35NS097273 (L.P.); P01NS084974 (L.P.); P01NS099114 (L.P.); R01NS088689 (L.P.)]; the Mayo Clinic Foundation (L.P.); the Amyotrophic Lateral Sclerosis Association (L.P.), the Robert Packard Center for ALS Research at Johns Hopkins (L.P.), the Target ALS Foundation (L.P.), and the James Hunter Family ALS Initiative (JR).